On the fateful day of February 7, 2014, the world’s best MMO is getting a brand new class: the Jouster! Jump upon your faithful steed and sprint into battle as you obliterate the opposition with your killer Strength, Endurance, and Dexterity stats. There are a few ways you can become a super awesome Jouster. A not so basic attack taught to all Jousters. Deals bonus damage on your First Strike... CHAAARGE! Has a chance to stun off balance targets. A moderate attack that can puncture your targets armor with enough momentum or knock your opponent off balance with enough precision. Deals light damage and for the next 6 seconds your accuracy is greatly increased. If your opponent is already punctured he will begin to bleed for damage over time. Gives your thrust attacks the ability to knock your opponent off balance, greatly reducing their chance to dodge. Repairs your mechanical parts restoring a moderate amount of health. A battle cry granting the jouster a boost in momentum. Increases haste and while greatly increasing the damage of your First Strike in combat. Also gives your thrust attacks the ability to puncture your opponents armor increasing damage they take from all sources. Joust attacks have a chance to give you “First Strike” in which for 6 seconds all joust and thrust attacks are as powerful as your first strike. Assuming you’re reading this today (and not using your prototype time machine), then you can become the Jouster Class starting tomorrow night! You are a great person and a great hero—and you deserve a Class that’s equally as great! I cannot wait to fight alongside you as Lore’s greatest Jouster! Join the Undead Legion and Unlock Ultimate Power! 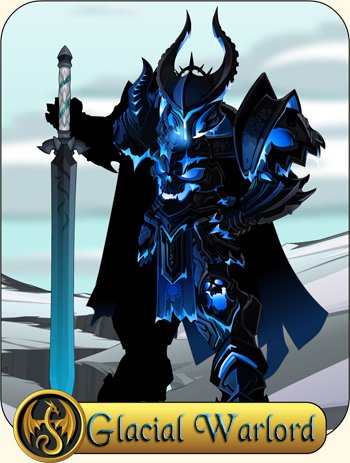 Dage the Evil formed the Undead Legion centuries ago, but tonight loyal members of the Legion will have the ability to move up in the ranks... as a Legion Soul Cleaver! The Legion Soul Cleaver fights best on the brink of death, where you can channel your magical abilities to shred your opponents... starting with their soul. The class mixes both physical and magical attacks, the better to help you rip the soul from your victim! Soul Cleavers gain mana from all hits landed in combat, especially on crits. The amount depends on damage relative to your own HP total. The lower your health the more you will get. 2. 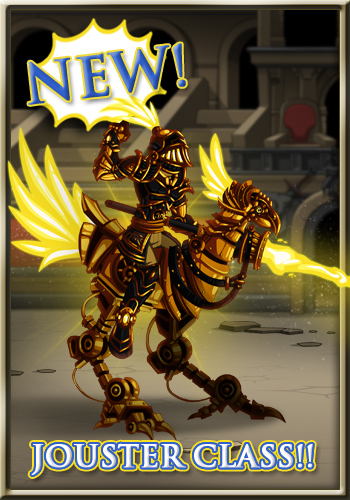 Buy the Class for 2000 Adventure Coins from Ragnar in Battleon or from the Class Shop in your game menu. 3. 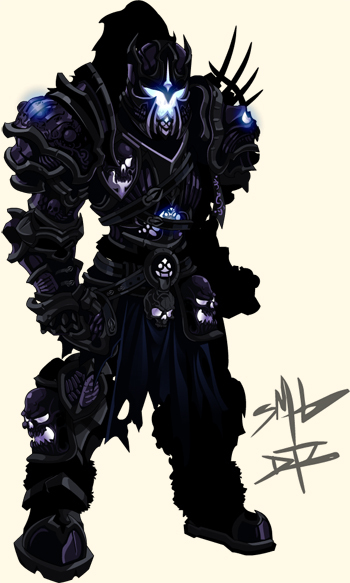 Buy the Class for 2000 Legion Tokens from Dage's Merge Shop in Shadowfall or the Underworld. I'm a member of the Legion. How do I get Legion Tokens? Talk to Dage in Shadowfall or in the Underworld. 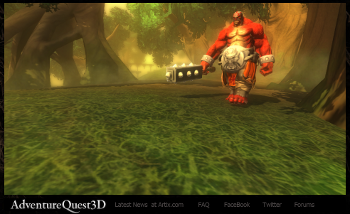 * Once you've completed the "Fail to the King" quest, you'll have access to many quests that will reward Legion Tokens. Dage also occasionally sells items which will have special quests attached that give you higher-than-normal amounts of Legion Tokens as a reward. 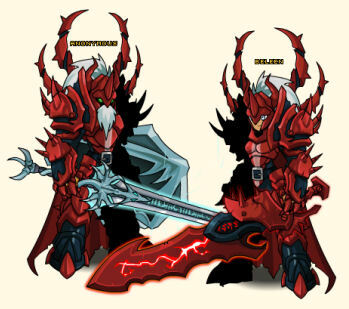 The latest farming quest items are the High Legion Champion and the Exalted Legion Champion armors! When you buy either of those from Dage in Battleon or the Underworld, you unlock quests which has a chance to give you anywhere from 5 to 50 Legion Tokens at once! * He's only ever in one place at one time, but moves WAY faster than you can see, so he always arrives before you do. Soul Cleavers gain mana from all hits landed in combat, and especially on crits. The amount depends on damage relative to your own HP total. The lower your health the more you will get. Deals damage based on the difference between your current and maximum HP. Drain life directly from your target's soul. Weakens them lowering their damage and returning health to you for the same amount. Trap your opponents soul from afar stunning them for 4 seconds. Soul Snare cannot be dodged. Sacrifice your very life force to increase all damage dealt by 75% and your chance to hit for 12 seconds. For the Legion! All damage taken increased by 10%. Note: the lower your HP, the MORE DAMAGE you do! You deal 10% more damage with all attacks. Every soldier for the legion put's his life on the line. If Dage so chooses he can sacrifice you to strengthen his forces. Chance on auto attack. FREE Gift Non-Member Pet for Undead Legion Members! ** You MUST have completed the "Fail to the King" quest in order to bring the Sir Liest pet with you as you travel! The Blood Titan Arrives Friday! The class arrives Friday and there will be 2 ways to get it. Members can farm for 450 Blood Titan Tokens then but the class from the merge shop which will be on the Shi Mar character who will be found in /join bloodtitan. The farmable version will be 0ACs for free storage in your bank. Everyone else will be able to buy the Class from the Class shop found in your Dragon Menu (Shops Section) or your Book of Lore for the standard price of 2000 ACs. I'm A Member. How Do I Get Tokens? Right now there is only one way to get Blood Titan Tokens. 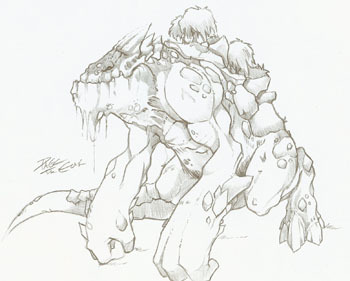 They are drops off of the Blood Titan and Ultra Blood Titan monsters in /join bloodtitan. Friday we will be adding another way to farm tokens too. Members will be able to complete repeatable quests on the Shi Mar character which will reward you with anywhere from 1 to 25 tokens at random! This class is VERY tanky. It can do some damage but the concept behind it is survivability. It was built to last. 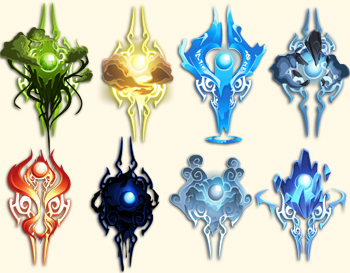 The skill concepts come from one of our very useful balance testers, Dmage12 (thanks!). 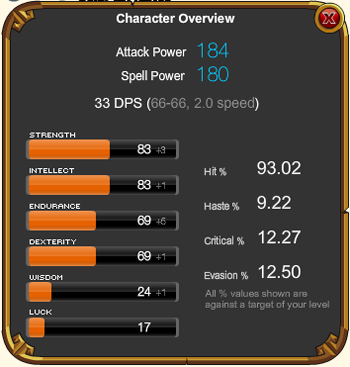 If you feel like your main class is too squishy, like your fights don't last mong enough or your guild needs a serious tank for boss fights then this the class for you. It has all the power and elegance of an 18 wheeler driving through a Walmart. This class is built on the Warrior mana regen model so the more damage you take the more mana you get. I would strongly suggest using Warrior Enhancements, but as always I'm interested to see what builds you guys come up with in the game and on the forums. This attack causes light to moderate damage based on the difference between your MAX and CURRENT HP. The Weaker you are, the harder you hit. Also saps some of your foe's life and and heals you. VERY fast, Low mana cost = spammable heal. You will be using this a LOT. It's so cheap that you probably won't think that you'd run out of mana (especially since this is the only skill that uses mana) but you use it enough that you might want to keep an eye on that. Also, keep in mind the the lower your life is the bigger the damage you do and the bigger the heal gets. Consume some of your own life essence (HP) to do moderate damage to your foe as well as briefly increasing your damage and speed. A moderate damage attack with a decent buff to your DAMAGE and HASTE. 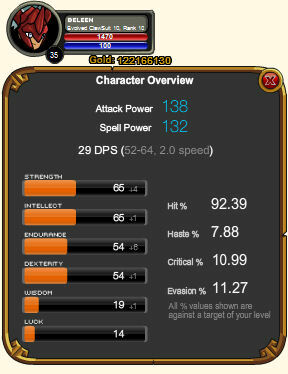 The thing to note is that this and all the other BT skills from this point consume HP instead of mana. Consumes a fifth of your life to greatly increase your damage resistance for 8 seconds. If you have a monster targeted it will also force them to attack only you for 5 seconds. This is a GREAT skill, period. It takes a good chunk of your life and does no damage to your enemy but gives you a TITANIC 75% damage resist buff for 8 seconds. You're reducing a 2K crit against you to only 500 HP! In addition to that it has a Taunt effect that grabs monster (not Player) aggro for 5 seconds! That means that you smack the monster in the face and keep him off of your less durable friends and guildmates. This skill is what makes BT a true tank. A base 10% damage resist added across the board and 10% Endruance boost means more HP for you to eat. This high damage attack consumes a third of your life and greatly reduces your target's damage resistance and speed, while increasing your damage resistance and damage output for 10 seconds. If you kill yourself by eating too much of your own HP (you can kill yourself with this class), this is the skill that you will use to do it. It does a decent amount of damage, makes the target extra squishy (Let your team know when you're about to use it so they can pour on their nukes while its weakened) and slows them down while making you stronger AND increasing your damage resist another 35%! Let's get mathmatical. If you use Crimson Shield (75% Damage Resist) and this skill (35% Damage Resist) plus your 10% Damage Resist from Fortified Blood, you get a grand total of 120% Damage resist. That means that in the short span of time when you have both powers active you will get HEALED from enemies attacks! It will look a little like this. It's not huge heal but you ARE actually getting HP back from being attacked. Now THAT is a tank! Once in a great while, you tap the full potential of your powerful blood and greatly increase your damage output, damage resistance and haste for a short time. Does exactly what it says. For a short time you become SUPERTANK! When playing this class you will be tempted to try and full heal yourself. It's important to remember that this is notht eh point of the class. The point is to NOT reach 0 health which is distinctly different. Design Notes need more PINK! to master the ChronoCorruptor Class! They say time flies when you’re having fun… but what happens when time becomes Chaorrupted…? Do you have what it takes to master the ChronoCorruptor Class? 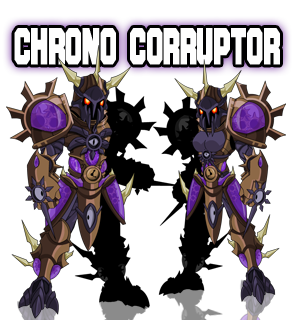 ChronoCorruptors corrupt the flow of time to tremendous and random effect in battle, never knowing which time (or with what powers) they will wind up with. ChronoCorruptors regain mana when they attack while under the effect of Chaos Rift. Seals light damage to the target and applies Chaos Rift to the caster, a stacking effect (up to 4) that other abilities rely on. Heals you with a HoT for an amount based on the damage you’ve recently taken while under the effects of Chaos Rift (up to 40% of your HP) OR applies Time Bleed effect to the foe (DoT based on stacks of Chaos Rift). Consumes Chaos Rift stacks. Deals damage based on the damage you’ve recently dealt while under the effects of Chaos Rift. Consumes Chaos Rift stacks. Doge chance increased by 10%. Either increases Haste, Damage and Crit for 6 seconds, OR causes one large hit for massive damage and stuns enemy for 6 seconds. Nulgath is even working on an optional armor upgrade for the ChronoCorruptor if you would like to warp time with a whole new look! It’s that time of year again! HeroMart’s shelves are packed with the 2012 Artix Entertainment Calendars—and they are ready for shipment beginning tomorrow, November 8th at www.HeroMart.com! Last year, The Year of the Moglin Calendars sold out completely… three times over, might I add! So this year, if you hope to get your mits on the 2012 Year of Chaos Calendar, you had better place your order starting tomorrow! 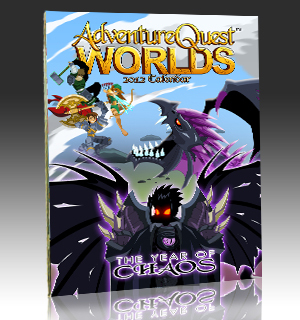 There is only a limited supply of 2012 Year of Chaos Calendars, and we will NOT be doing a re-order, so this will be your only chance at obtaining the 2012 AE Calendar. Each calendar comes with the exclusive ChronoCorruptor Class that is yours to master both in game and in real life! 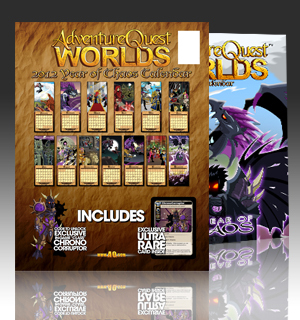 A one-of-a-kind code unlocks the ChronoCorruptor Class in AdventureQuest Worlds and DragonFable, in addition to the RARE ChronoCorruptor Card that can be added to your Battleon Battle Card Game deck. Say it with me: Battle on into the Year of Chaos! 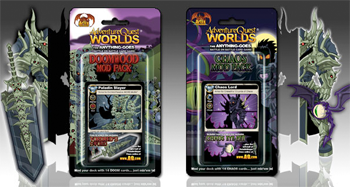 The Mod Packs for the Battleon Battle Card Game are on sale at HeroMart! Unleash the crippling force of Chaos upon your foes with 13 CHAOS cards in the Chaos Mod Pack. Or perhaps you would rather bombard your opponents with devastation, destruction, and doooooooooom with 13 DOOM cards in the DoomWood Mod Pack! A special code is included in each pack of cards that unlocks the exclusive Vordred’s Sword, the Chaos Eye Pet, and half of the PaladinSlayer Class. Grab both Mod Packs to master the full PaladinSlayer Class and bring chaos and destruction to your real-life battles! Get your Mod Packs now at HeroMart! They make a great stocking stuffer for the upcoming Holiday season, too! Oooo ooooo ooooo! Do you know what another great stocking stuffer is? Awwwwh yeeaaah! 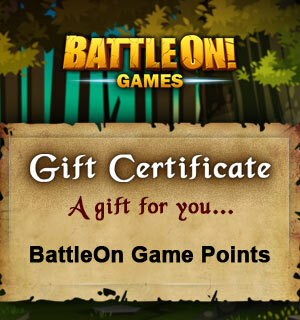 The Artix Points Electronic Gift Certificate! Give the gift of Artix Entertainment Points to your friend or relative or even yourself! They can use the Points to upgrade in any of the Artix Games like AQWorlds, DragonFable, MechQuest, AdventureQuest, HeroSmash, PonyVsPony, BladeHaven and EpicDuel. After you purchase the electronic gift certificate, you will receive a unique Gift Code number that you can give to a friend or relative. 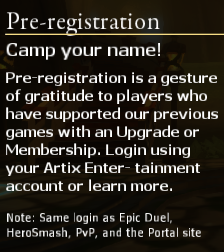 They can use that code to add Artix Points to their Artix Game accounts from their Artix Master Account! Grab an Artix Points Electronic Gift Certificate at HeroMart after you get those Mod Packs and Calendar and T-Shirts and more! 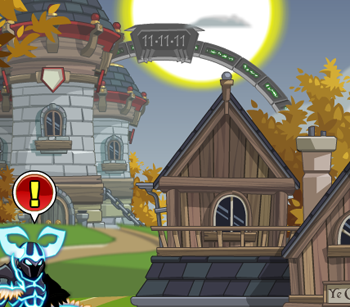 We have no idea what it is... or where it leads to… or what will happen on 11-11-11. Will it open? Will we go into it? Will someone…or something…come out of it? I have a funny feeling that come Friday, we will all find out…!